Our wide range of expert advice helps people radically transform their relationships right now, from dating and commitment to parenting and personal fulfillment. We work closely with a carefully-chosen network of relationship experts - PhDs, best-selling authors, marriage counselors, and coaches. These visionaries have devoted their lives to understanding how to help people find happiness across ALL relationships in their lives. 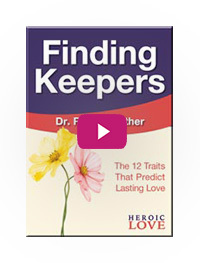 They’ve learned how to zero in on the fears and bad habits that block intimacy, and they know how to keep attraction and intimacy going strong for a lifetime of love. They love showing parents how to stop fighting with their kids and start creating the kind of close connection that builds real trust and cooperation. And they also know how to cultivate and fine-tune the most important of all relationships--the one we each have with ourselves. Attracting: Our singles learn how to dismantle the patterns that have kept them loveless, and our women specifically learn how to tap into their feminine energy to truly connect with a man’s heart. Dating: From choosing the right partner to being an unforgettable date to coping with challenges that arise from a budding relationship, our experts know how to avoid the mistakes singles make on the road to lasting love. Relating: Why do men sometimes come on strong only to pull away? How do we keep getting involved with partners who aren’t good for us? What does it take to create and build true intimacy? We know how to explain the underpinnings of relationship psychology in a way our followers can understand and, more importantly, apply in their own lives. Parenting: Whether it’s your first child or you’re expecting baby number 5, parenting is full of surprises, many not entirely pleasant. Our parenting experts will help you navigate the many learning curves you’ll experience with your little one, from birth through teen. Self Love: Loving yourself first is the basis for all relationships. But how do you do it--especially during those difficult moments that can pull you down into a spiral of negativity? 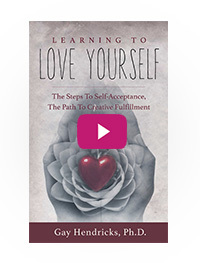 Our experts are eager to share practical techniques that go way beyond theory so that more self love and self compassion is not just doable, but simple. With our marketing expertise and operational resources, we take care of the business side of things so that our experts can focus on doing what they love most - using their wisdom and talent to teach their transformational advice to others. Together, we create high-quality free and paid content that over two million women and men engage with every month. It’s a win-win-win relationship - for the experts, for us, and especially for our audience. We are very social - Over 850K fans would agree. Connecting with our followers in a personal way through social media is important to us. We regularly post advice, lead discussions, and ask questions in order to find out what's most important to the men and women who look to us for guidance. Over 30 years ago, Katie and Gay made a radical decision to create a relationship that ran entirely on positive energy. They turned their marriage into a living laboratory, developing and practicing tools that will help you finally experience lasting, genuine love. They’re experts at identifying the underlying, often subconscious reasons why people keep experiencing pain in romantic relationships, which in turn can affect every area of life. Keys are eliminating blame and criticism and replacing them with personal responsibility and abundant appreciation. Dating advice for women from the man’s perspective. Women are used to commiserating about men - or the lack of them - and this may be the first time they’ve heard insights straight from the horse’s mouth. Christian offers a window inside the mind of a man: what he’s thinking, why he doesn’t call, why he backs off or gets scared and how he interprets her behavior. Therapist Randi Gunther has spent over 40 years helping individuals and couples understand why their relationships get boring or go bust. Because of her extensive clinical experience, she’s able to identify the often subtle yet destructive patterns that get couples into trouble. She’ll show you how to look at yourself and your romantic history with heroic honesty and teach you the same transformative techniques she uses in private practice.